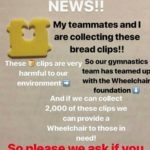 Athletes Collect Bread Clips for Charity – Welcome To Metropolitan Gymnastics! 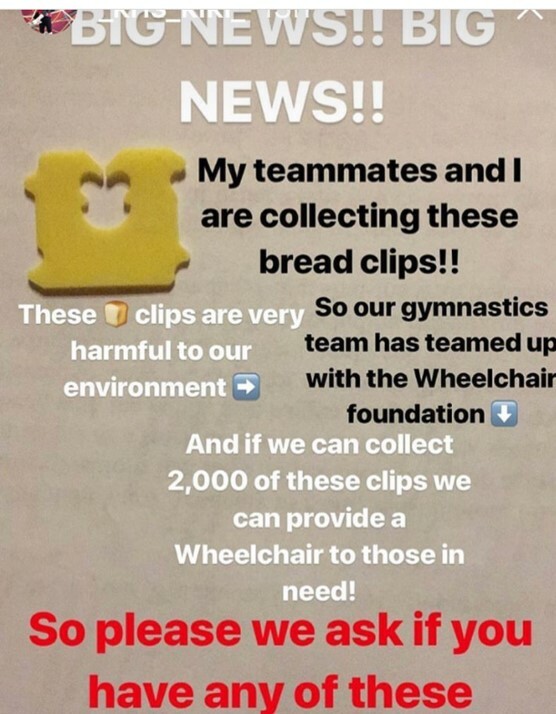 Members of our competitive team collected bread clips to help a person in need get a wheelchair. The goal was to collect 2000 clips and they gathered 2696 in ONE WEEK and provided a wheelchair for someone in need! 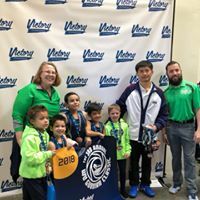 Way to go #teammetropolitan! We are continuing to collect clips through the gym, so please bring or send yours to the front office. 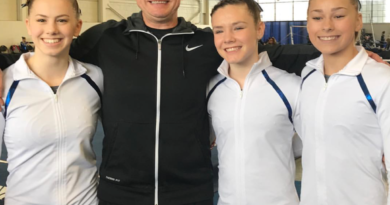 ← Compulsory Girls Succeed at State!